John Fehr running for Steinbach City Council. 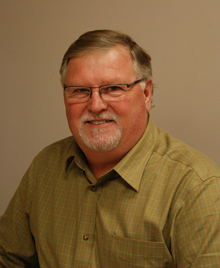 Saying that he is hoping to offer residents a background of diverse experience and community service, Steinbach businessman John Fehr announced today that he had filed nomination papers to seek election as a councillor on Steinbach City Council. • Being president of the Manitoba chapter of the Muscular Dystrophy Association of Canada. Fehr is also currently an elder on the board of Southland Community Church and is Chair of the Board of the Steinbach Christian High School. “I’ve been very fortunate to have been supported personally and in business by the Steinbach community. With the support of my wife and my children, I look at this opportunity to serve on Steinbach City Council as a way to give back to the community that has given much to me,” said Fehr. “Past councils have shown a strong sense of fiscal responsibility and community compassion. Those values are as important today as they have ever been. They have made our City successful and we need to continue to use them as our compass for future decisions,” said Fehr.